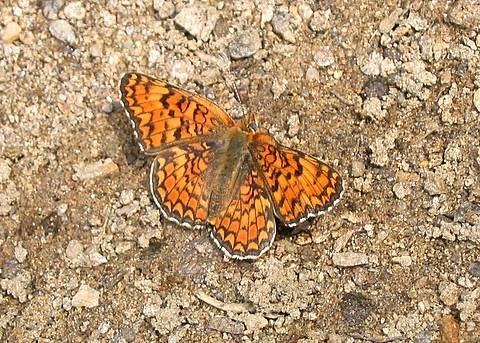 The very large marginal orange lunule on the upper forewings which ‘pushes the second row orange spot into the third row’, makes this species quite characteristic in the field. 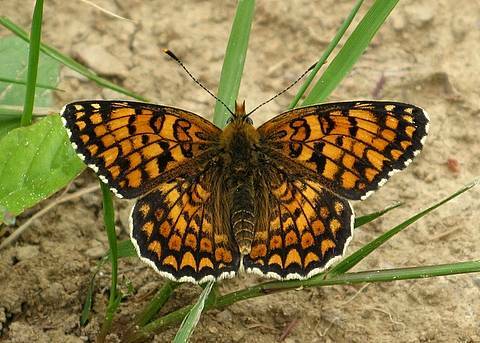 The butterfly is prone to quite a lot of variation in the markings on the uppersides.........including an orange suffusion on the upper forewings, contrasting orange/orange-yellow bands, faint spots in the post-discal band of the hindwings. 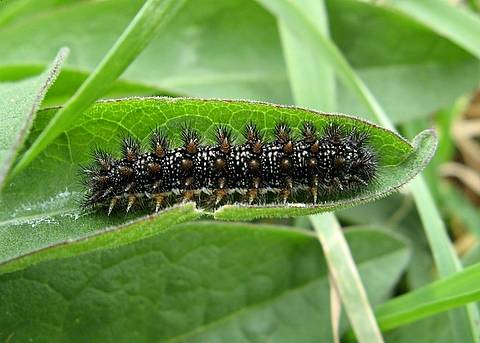 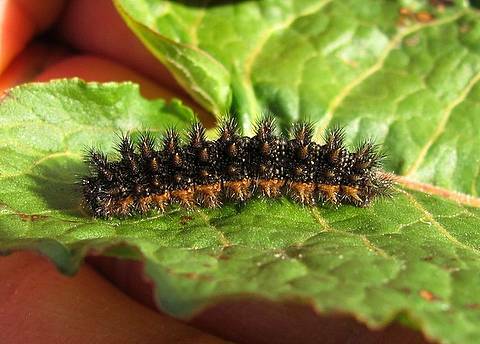 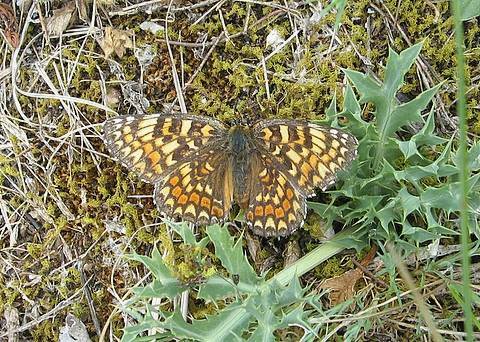 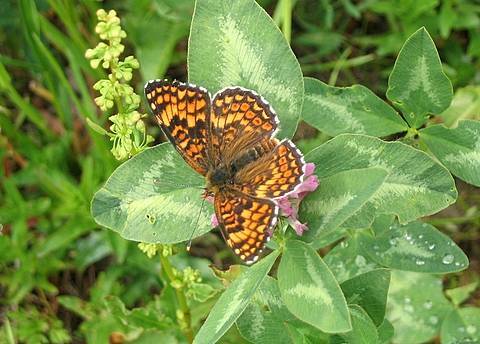 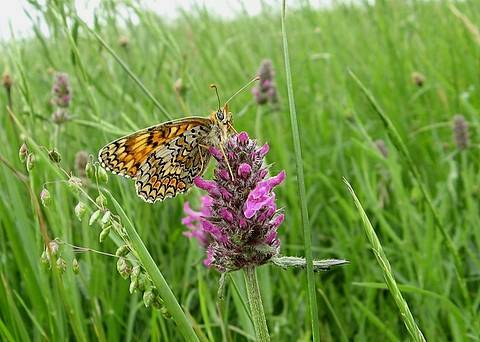 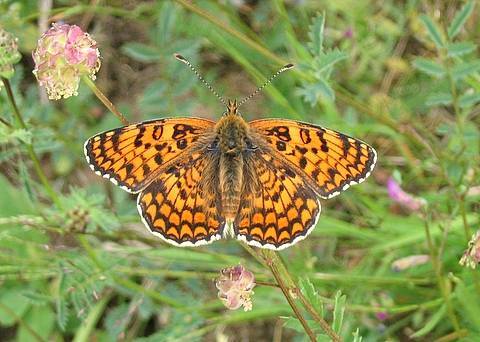 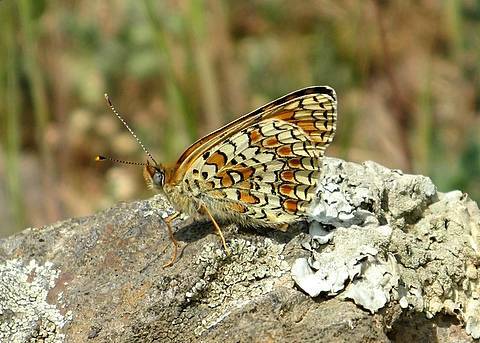 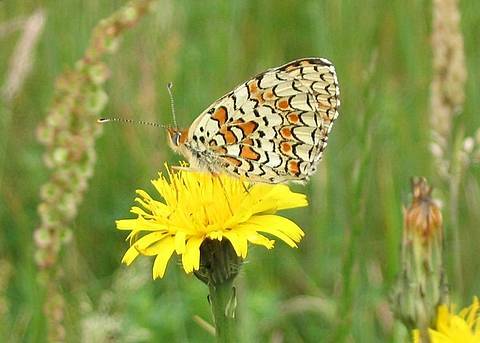 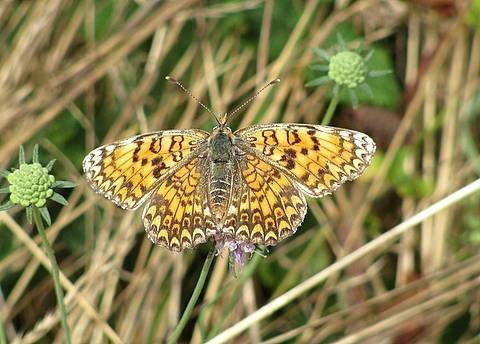 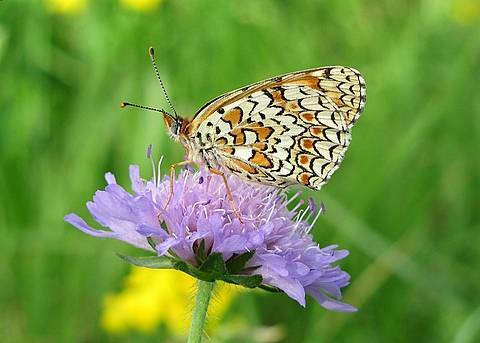 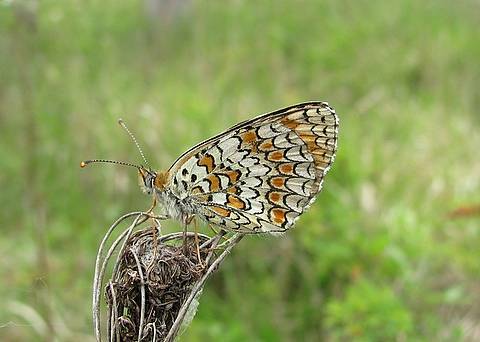 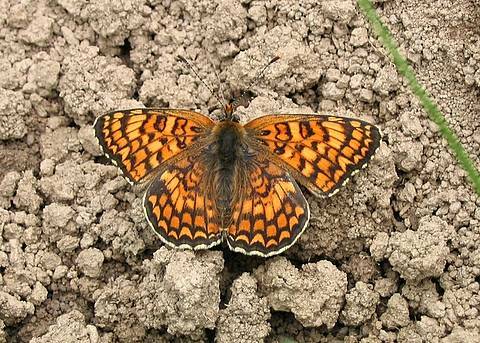 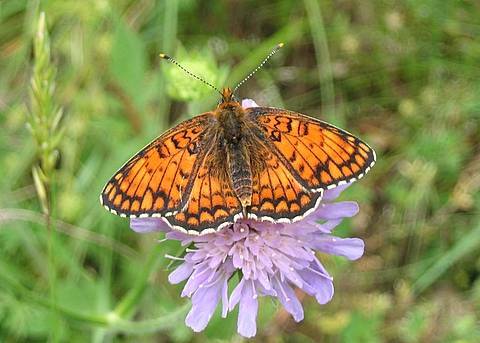 On the whole the Knapweed Fritillary is conspicuous by its larger size in relation to other close relatives.